RD 7127 is an AEC Regent I with ‘oil’ engine, making her an O661. Those with petrol engines did not have the O prefix, and it dates from 1935. It has Park Royal bodywork, to the L52R layout, and we see it at Longcross, Chobham, on 1 April 2007. Sister vehicles 11 and 46 were withdrawn as early as 1950, but the Corporation gave 47 a body rebuild and she ran till the end of February ’56, to the delight of a small knot of enthusiasts, one of whom sat in the front nearside seat upstairs as she rumbled over a cobbled bridge, celebrating the fact that she was now in her 21st year of service. easy gearbox, reassuring stability…47 has it all. Mike Dare and I did all our pre-PSV-test driving practice on her before joining Smiths Coaches. Over the next few years we covered hundreds of miles in 47 to and from rallies, museums and—sadly—trolleybus system closures. Still in good mechanical shape, she awaits structural work on the body before being fit to carry a full load again. Thanks for your thoughts, Ian. As previously, if you or any other members of the readership don’t have a copy of your own of this view, Peter has my permission to forward on your request. 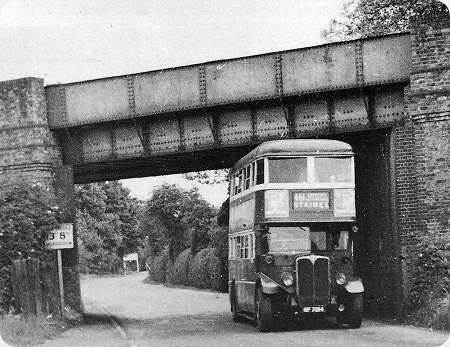 Memories of Doncaster’s Regent no 60 which apparently ran from 1942 to 1962 in a similar livery and Roe body, no doubt ferrying miners home from shift. It is no wonder that Donny seemed to like AEC’s: although nothing beats its all Leyland PD2’s with trolley rebodies which all did 25-26 years. Provincial’s number 35 is a very similar vehicle except for being highbridge. That ran in service 1936-1966 with its original company before being sold to preservation. 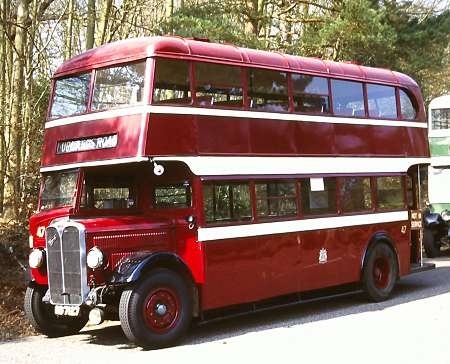 Its body is teak framed and aluminium panelled which accounted for longevity – does anyone know if this combination was used for other bodies by Park Royal and if they too lasted a long time. Thanks for the kind offer of a copy, Pete. Superb photo! 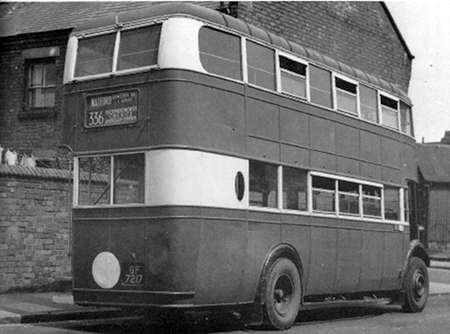 FUF 63 is an AEC Regent I of the O661 variety, built in 1939. She is at Dunsfold on one of the occasions the Wisley event wasn’t at Wisley, on 10 April 2011. The second view is a close-up of the fleetname and Municipal Crest. I have memories of reading – many years go and probably in Buses magazine when it was still called Buses Illustrated – that the arrangement shown results from an agreement between these two local operators, but not Southdown, whereby the buses and trolleybuses run by the Corporation and by Brighton Hove and District had the same livery and fleetname. The distinguishing feature for most people was that the Corporation vehicles carried the Crest as well. I suppose they had different ‘legal lettering’. Histories of the Borough of Hove I have seen suggest there was some jealousy there, because Brighton was elevated to the status of a County Borough, while Hove – seen as more genteel – was not, and had to keep East Sussex registrations while Brighton was allocated its own. "So you live in Brighton?" and the response "No, I live in Hove, actually." seems to stem from this and some sources attribute it to Lord Olivier who did live in Brighton. A former colleague went to work for one of the Sussex Councils, and moved to Royal Crescent, Brighton. Lord Olivier lived next door on one side, and Dora Bryan lived on the other side. 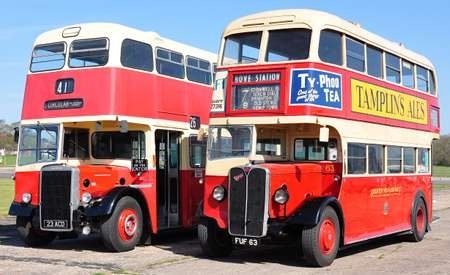 The Titan 23 ACD next to 63 is a 1963 PD2/37 with a Weymann H37/27F body and was fleetnumber 23. Yes, David, I suppose there is ‘some’ improvement recently with the scrolling dot matrix display, but it’s still nothing like the London style or that shown on 63. But the London style is now just a single line display showing the destination. 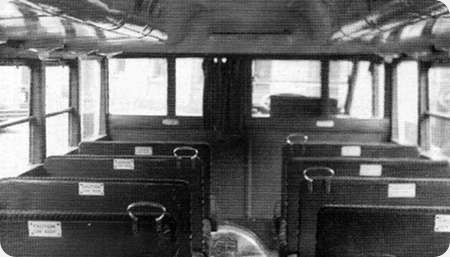 Of significance is that 23 ACD was the first double-decker operated as an OMO bus. Ah, Dale! I bought some slides from your collection some years ago. Thank you for that piece of information. Was 23 "the first" in UK bus operations generally, or Brighton’s first? Brighton Corporation obtained a statutory dispensation enabling them to work this Titan driver -only in advance of general legalisation of double deck driver operation. Great Yarmouth waited until the law changed to operate their PDR1/2s driver only, and were the second.